"We break corruption schemes to make utility payments even less than they were a year ago." The average size of governmental subsidy during the heating season will amount to 2-2.5 thousand hryvnia, the Minister of Social Policy Andriy Reva said on 12 September. "If the non-heating period, the average amount of subsidy was 200-300 hryvnia, because the utility bills by many families did not exceed the required payment. In the meantime, after the beginning of the heating season and the automatic recalculation of the average amount of the subsidy will rise to 2-2.5 thousand hryvnia a month," UNIAN quoted the minister as saying. In the past heating season the average size of subsidy was at 1200-1400 hryvnia. 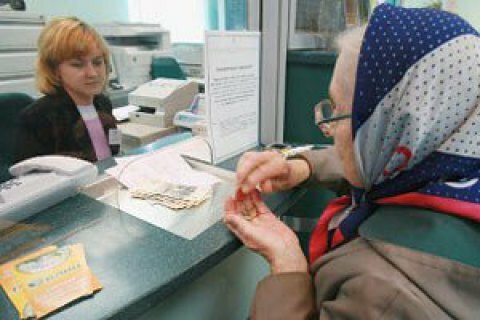 As of September 2, 2016 5.3 million Ukrainian households were entitled to receive subsidies. Prime Minister Volodymyr Groysman, in turn, said that the state will compensate up to 85% of the amount charged for utilities. "All those who have the money, will pay in full, while families with small incomes will be compensated in the amount of up to 85% of utility bills. We will not fund the losses of heating and water utility companies. Instead, we shall support each individual Ukrainian, who requires assistance," the head of government said. Groysman assures that households will pay even less than last year under the new system of utility subsidies. "We break the corruption schemes to make utility payments even less than they were a year ago, the prime minister said as quoted by Liga.net. On 1 July, Ukraine increased tariffs for heat and central heating services. September 1 marked a hike in electricity bills. Since May 1, gas tariffs soared for a large part of the population.